Treat your pedals to massive space, great style and flight-grade protection. Tolex is a musician-proven material that can put up with the bumps, spills and abuses of frequent gigging. Blackbird pedalboards use the same quality amplifier tolex used by amp builders that allows you to not only match your board to your cab or amp but also give you a pedalboard that will stand out on stage, in the studio or at home. Every Blackbird pedalboard 1530HC comes standard with 2 black solderless 1/4" jacks. The solderless 1/4" jacks provide an easy access point to the board's input and output, making setup and breakdown a breeze. They also eliminate the ware and tare on your pedal’s jacks from constant plugging. The solderless design ensures anyone can get their board wired up right out of the box. The loop top allows you to use the entire board surface to Velcro your pedals anywhere you want. Holds up to 16 standard sized effects pedals. Want to power your board? Add one of the company's optional AC Inlets and replace the side grommet for easy power access to your mounted power supply. Blackbird's improved ATA case is perfect for the gigging musician. 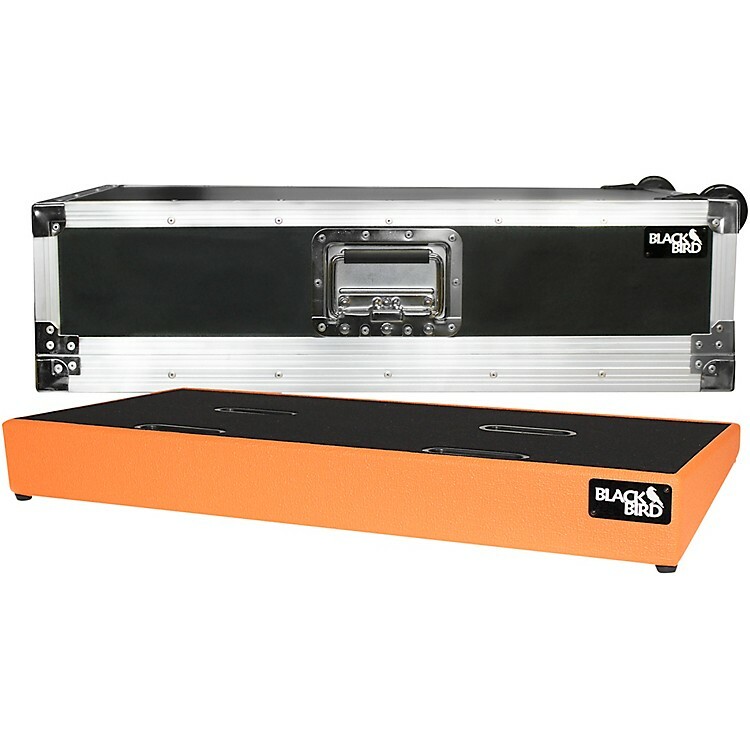 The 3/8" thick plywood with a completely foam lined interior ensures your pedalboard will arrive safe whether in a trunk, trailer or on a plane. Just remove the top and still access your jacks on the side. Each 1530 ATA case features fully recessed hardware and includes recessed wheels and side handle for easier transportation. Board dimensions: 30" x 15"